The Bondoc meteorite was a large and incredibly impressive recovery by Harvey Nininger from the island of Luzon, Philippines. 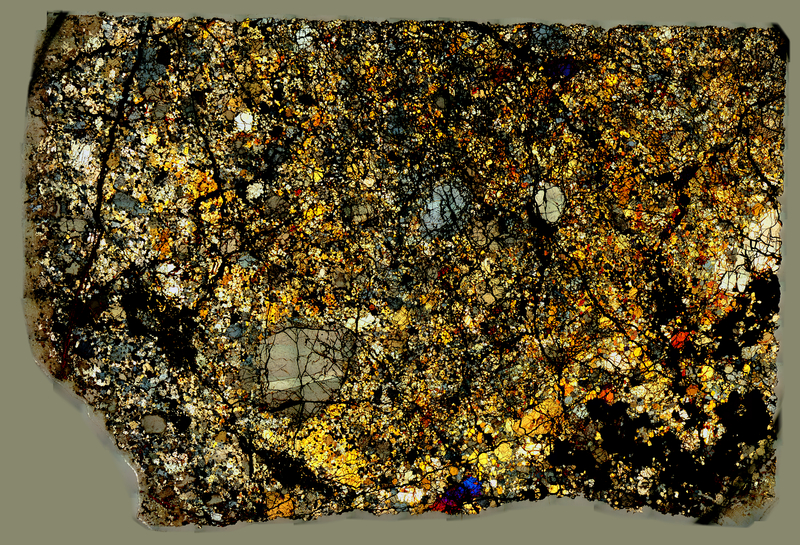 This mesosiderite is displayed here as a thin section in cross polarized, 1/4 wave retarded light. The visuals are interesting, with black metal filaments stretching across the entire slide.